The road to Anime Festival Orlando 12 BEGINS HERE! 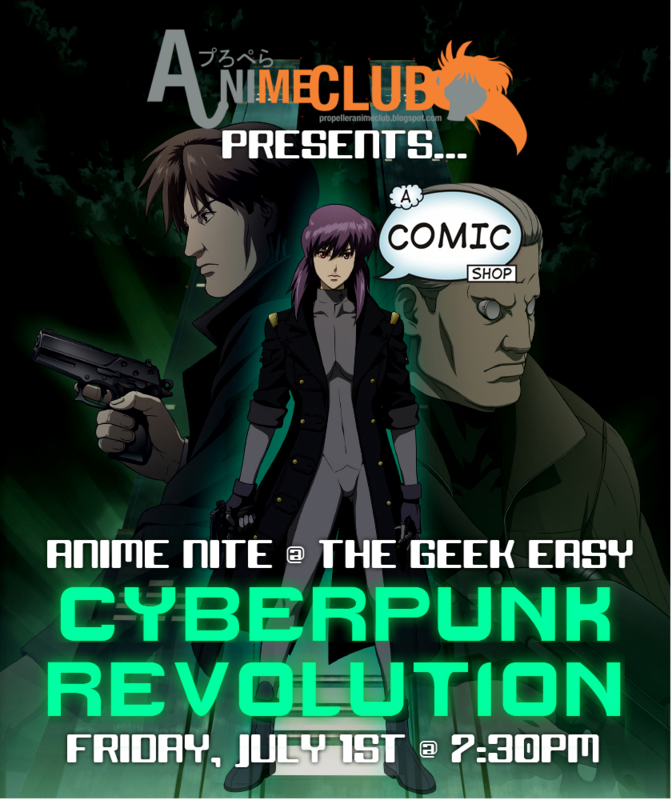 Propeller Anime Club and A Comic Shop are teaming up to bring Central Florida an exciting night of anime! 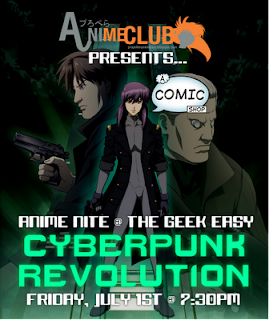 On Friday, July 1st we'll be hosting Anime Nite @ The Geek Easy: Cyberpunk Revolution! With Anime Festival Orlando 12 coming soon, we thought it would be awesome to have a theme night that compliments their Conquerors of Neo-Orlandia interactive convention experience. A big part of the story and theme for their main event is inspired by the cyberpunk genre of anime. 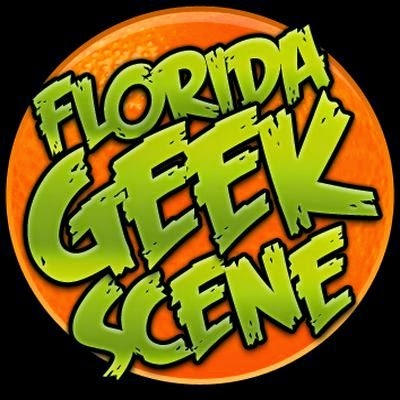 The fun starts at 7:30PM at A Comic Shop at 114 S. Semoran Blvd in Winter Park, FL. Restaurants such as China Garden and Gizmo Sushi are in the same plaza so you can bring in outside food. A Comic Shop sells a variety of unique soft drinks and energy drinks. This event is free to all. We hope to see you there! Next Propeller Anime Club meeting on Sunday, June 19th! 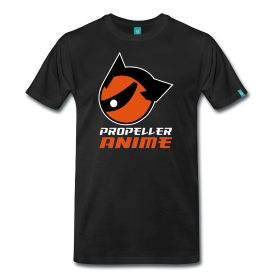 The next Propeller Anime Club meeting will be on Sunday, June 19th at Full Sail University in Building 3F in FS3F-112 at 1:00PM. Here is a map. We have a change of plans for the feature based on the less than stellar response to it at the last meeting. This time, I will bring in five anime movies that EVERY ANIME FAN SHOULD SEE and we will watch the one most of the people at the meeting have not seen. That sounds pretty simple, right? In Diebuster, we found out during a battle with aliens that Nono is a GODDAMN BUSTER MACHINE. Not just a buster machine but the LEGENDARY one.﻿ So we'll finish this fun series as well. 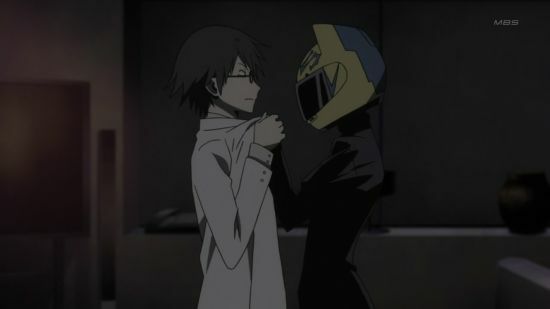 We'll be completing the first arc of Durarara!! In these episodes, the owner of Celty's head will be revealed along with who founded Dollars. Waldo's Birthday and Going Away Birthday Party this Saturday! Hell yeah! We need to party and bowl! Because that's fun! Propeller Anime Club is getting together for another fun time! But most important, we say goodbye to a friend and long-time club member. Corey "Waldo" Waldusky has been in Propeller Anime Club for over three and a half years. 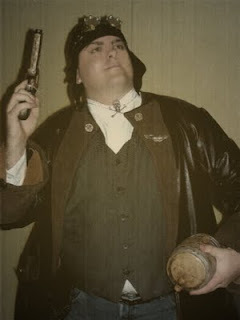 After me, he is the longest active member of our club. For that reason, I would like all of you to come out and wish him a final farewell. We'll be at the Aloma Bowling Centers once again. We plan to do two games so with shoe rentals, it's about $14 a person. Aloma Bowling also has an arcade, pool tables, a bar, and they serve food. Outside desserts can be brought in. Feel free to bring friends and other cool people to say hello and goodbye for what may be the last time.